This site is the product of the enthusiasm of Bob Fullenkamp, Mike Moriarty's uncanny ability at Web research and finding people, Dave "Bingo" Nefzger's motivation and encouragement and the somewhat dubious, dead-reckoning, web site designing and publishing ability of Steve Sohn. 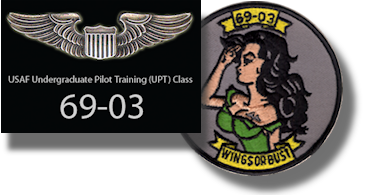 The idea was to locate former classmates and members of USAF UPT Class 69-03, K Flight, at Laughlin AFB, Texas, and to establish communications between class members. Bingo and Mike were remarkable at this, and when the going got tough Bob and Kent Tatom, our flight commander, came through. Not to mention Kevin Murphy, whose mere existence is far more motivating than a candle-lit Ricker inspection. If you find the site and have been hiding out, please contact Bob or anyone of us, email access is available through the "Contact Us" drop-down menu, above. It would be good to know what we're up to (those of us who are still around), over 40 years later. Thanks to the detective work of Mike Moriarty and the refined and coercive communications skills of Bob Fullenkamp, Dave Nefzger and Kent Tatom there are now a good bunch of us discovered and lured out from under whatever rock we were hiding. As information becomes available, we will upload it on the site. We had our first reunion in Washington, DC back in 2010, and it was a great success. 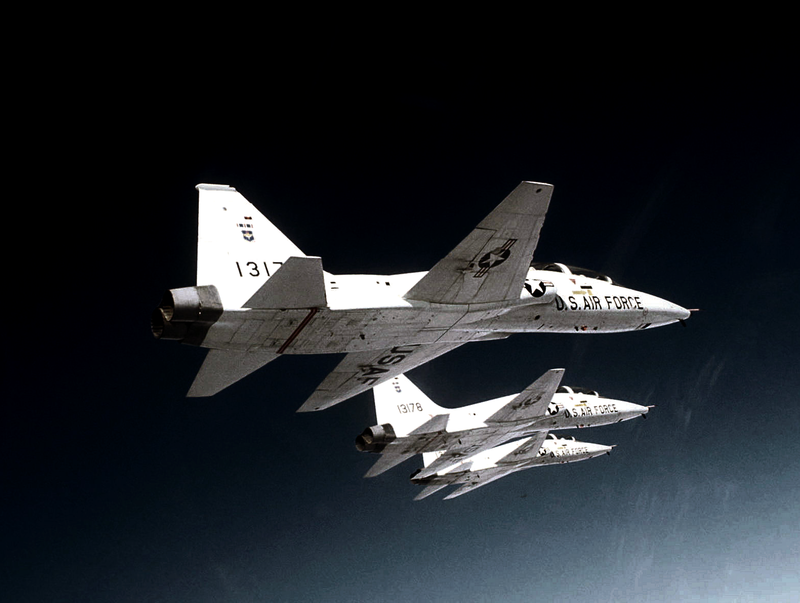 I have added a pdf file of the reprint from Air University about the T-38 here, interesting to read. You can see the photo slide shows of the reunion under the "VIDEOS" menu, above. There is also a 9-11 slide show of NYPD official photos available, just select this link.